I’ve been helping organizations grow, teams excel, and people transition since launching my business 32 years ago. Board-certified coach, mentor, sounding board, advisor, confidant, consultant, strategist, facilitator, investor, board member and business development expert – globally – are a few of the ways in which I serve clients. My business is 100% referral. Clients are executives and senior teams of hundreds of privately-held emerging companies, Fortune 1000 public companies, non-profits, government organizations, entrepreneurs, business owners and individuals in transition. Prior to launching my business in 1987, I held highly-successful sales, marketing and leadership positions for Fortune 500 companies in the aerospace, entertainment, technology and executive/career placement industries. McDonnell Douglas Automation Company recruited me to be part of their marketing and sales force – one of only a handful of women in the field at the time. The company transitioned to McDonnell Douglas Information Systems Group (later acquired by Electronic Data Systems and Boeing) and recruited me as the first National Industry Executive for Aerospace for that division. Being at the forefront of both bleeding and leading edge technologies has been a wild and fascinating ride that I still enjoy today. I not only embrace change, I love being a catalyst for change and have had the pleasure of working with distinguished companies in leading-edge technologies such as: CAD/CAM/CAE systems which changed the way products are designed, engineered and manufactured; ceramics for dental and military applications; and, later, the forefront of digital audio workstation technology which completely changed how sound is produced for music, film and television. My appetite for working in innovation has continued with, among others, technologies in aviation, aerospace, entertainment, healthcare and the life sciences, including proprietary laser processes for treating periodontal disease and software for compliance and regulatory industries. In the early 1990’s, I became passionate about executive and leadership coaching — now a mainstay in corporate, business, academic, non-profit and government enterprises. What intrigued me most to learn about this industry was noticing that the companies with great leaders were the ones who attracted greater talent and tended to be more easily financed by the various venture capital communities. They also tended to achieve greater business results. Along the same spectrum, I extended my curiosity and education about leadership and developmental coaching into the emergence and management of personal brand and cultural alignment as equally-sound business strategies. Leaders and teams of rapidly-growing and/or changing organizations as well as individuals who want to transition from one professional level to the next within a current organization or after leaving a position, a company, or a board, are the clients I typically serve. I believe that helping people understand and develop themselves and their personal brands in an integral way is as important as helping companies understand how alignment between personal and organizational brands is a really smart, sustainable marketing and growth strategy. Can you imagine the culture and business results you would have in your company with alignment between the company vision and brand and the people you engage to “make it” happen? During the Dotcom Era, I co-founded Venture Point – Tech Coast Small Business Development Center, a public-private partnership (hosted by the Orange County Business Council and funded by them, the SBA, California Technology, Trade and Commerce Agency and community sponsors) to accelerate the growth of high tech/growth companies. This project helped me put into practice some of the lessons I had been learning, and continue to learn, in my pursuit of developing great leaders and companies. With a core team of highly-skilled coaches and consultants that we attracted who believed in our vision, we helped 450 entrepreneurs achieve extraordinary business and economic results by developing a coaching and consulting model that, at the time, became a nationally-recognized, “best practices” model and organization among the 1,000 centers in the network. When I first launched my business, my focus was providing interim and part-time sales and marketing management services for start-up and emerging high technology and entertainment companies who wanted executive sales and marketing management but could not afford to pay for full-time, experienced executives. Revenue and growth were paramount to their success. Along the way, I learned about the various financing strategies that companies can employ – from organic growth through sales to venture capital – and the many options in between. I have helped companies create their business plans and raise capital from family and friends to angel and private investors to venture capitalists and traditional banks. While my focus today is more on the development of people, clients still retain me to help them develop business, financing and growth strategies as well as determine and facilitate appropriate connections to drive growth. When needed by the client or the project, I collaborate with or refer to other professionals in my global network to provide or refer relevant services or resources. I love learning and am a perpetual student in both formal academic settings and as simply an observer of and participant in life. I was accepted to both dental and law school (and worked in both fields) before opting to become an entrepreneur and business professional who has been able to serve clients in both industries over the years. I have a BA in Psychology from Cal State University, Fullerton (CSUF) and am an alumna of several academic institutions including UC-Irvine where I studied the biological sciences and theater arts. I’m a Board Certified Coach in Executive, Corporate, Business, Leadership, Career, Personal and Life Coaching from CCE-Global (a nationally–recognized and independent certifying organization) as well as a New Ventures West Certified Integral Coach. 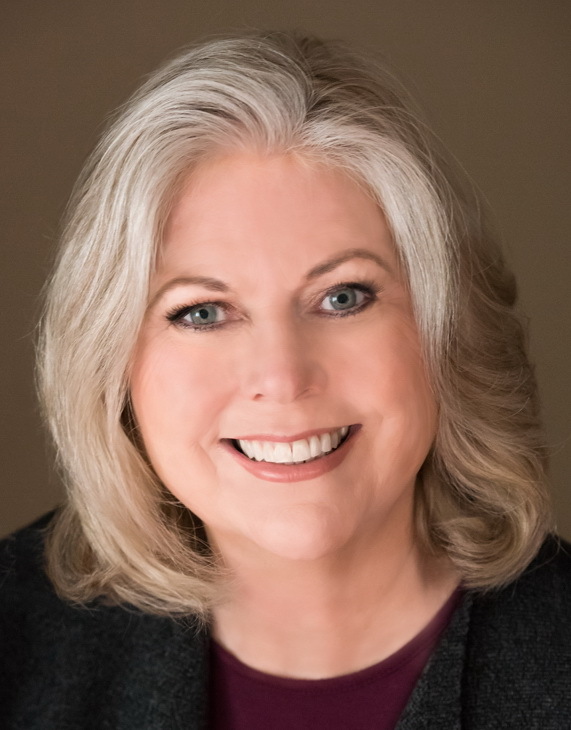 I hold other coaching, mentoring, and leadership assessment/development and facilitation certifications and have studied Conversational Intelligence with Judith E. Glaser and Coaching with ROI with Lisa Ann Edwards – both part of the World Business Executive Coach Summit (WBECS) organization. Currently, I’m studying Narrative Coaching with David Drake through WBECS. In 2009-2010, I was elected and had the honor of serving as the President of the Orange County Chapter of the National Association of Women Business Owners. This was a three-year commitment for what was the largest chapter in the United States (400+ members) during my tenure. Since childhood, I’ve been involved in service which has continued in my professional career. I have held a variety of board seats for multiple years with NAWBO-OC, the Forum for Corporate Directors, and the Professional Coaches and Mentors Association in addition to having been active on committees in many organizations such as the Segerstrom Center for the Arts and AIDS Services Foundation – now known as Radiant Health Centers. I enjoy traveling the world with my husband of 39 years and the love of my life, Doug Gifford, a professional photographer (www.douggiffordphoto.com). Together, we have been to over 60 countries and 43 states and have a passion for the people and cultures that each reflects. We derive tremendous joy being involved with both of our extended families and many friends as well as serving in our local and global communities. IDDBA 2018 is in New Orleans – June 10-12! Check out the Expert Neighborhood to Meet 1:1 with Food Industry Leaders!